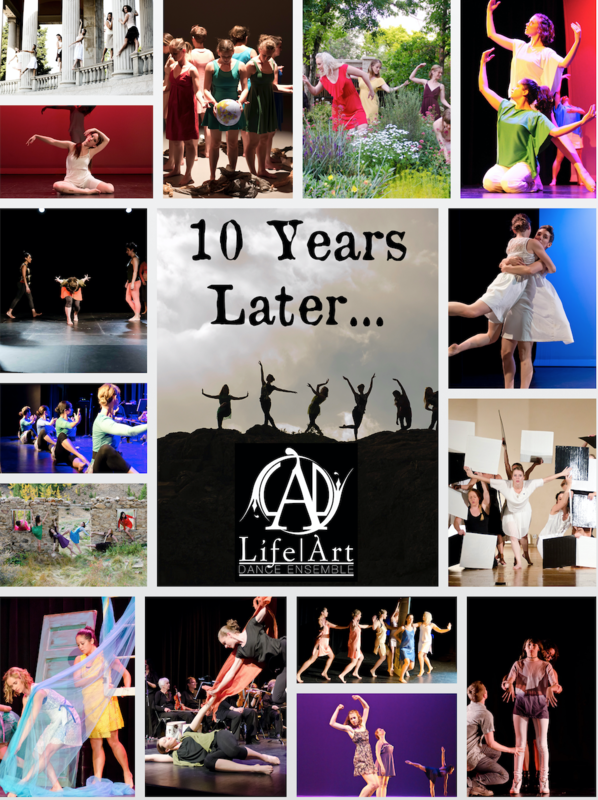 Join Life/Art Dance Ensemble in a celebration of ten years as an official nonprofit organization! Walk with us through memory lane as we bring back dancer and audience favorites from each of the past ten years! The production will culminate in a new work involving many of our past collaborators in the genres of music, visual art, and dance. To honor these 10 years, our ticket price is only $10! We will also be holding a free community modern dance class prior to each performance! Please purchase a ticket associated with the company class in order to reserve your spot. Only 15 spots per class available!